Dr Sarah Ingle BScEng, MIE, PhD, CEng, MIEI, MIoD has been ACEI’s Secretary General since June 2015. She is a chartered engineer and worked in several Irish multinationals including Fruit of the Loom, AT&T and Cabletron Systems. Sarah’s most recent post before joining ACEI was in Dublin City University as Director of Quality Promotion. Previously she was an Associate Professor in Entrepreneurship and Enterprise at DCU Business School and completed her PhD in 2000. Her doctoral research explored the introduction of World Class Manufacturing (WCM) and Total Quality Management (TQM) in the Irish automotive rubber mouldings component industry. 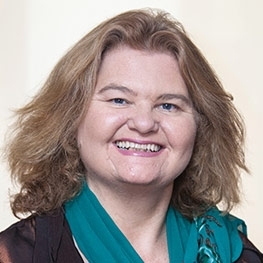 Sarah was awarded a Fulbright Scholarship to Arizona State University in 2006 to research start-up enterprise activities in Phoenix and is President Emeritus of the Irish Fulbright Alumni Association (IFAA). She is also the Chair of the Irish Fulbright Commission Board nominated by the Minister of Foreign Affairs.